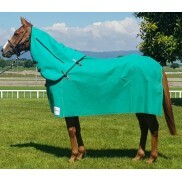 Matamata Saddlery manufacture covers for a wide range of horse breeds, types and conditions. We source the best quality materials, offering natural canvas, leather and sheepskin, while taking advantage of modern fabrics and technology to provide covers that will perform well under all conditions. Particular attention is paid to design, with on-going development of superior options of both form and fit to provide safe and low maintenance covers that provide comfort, reliability and practicality in all conditions. Ranfurly is the original Matamata Saddlery style of cover. Its roomy shoulder and rounded neck line make it ideal for warm blood and crossbred horses and is easily extended to accommodate Clydesdales. 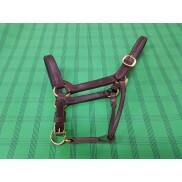 Foxbridge covers are produced for the slighter thoroughbred . The pattern closely follows the industry standard with a double gusset that neatly fits the shoulder. Many of our improvements to component design have stemmed from the drive to make Foxbridge the safest and most cost- effective Thoroughbred cover on the market. For those on a budget we offer a basic version of the Foxbridge, with the same cut and canvas and the traditional older fittings. Ultimo covers have a simple darted front. 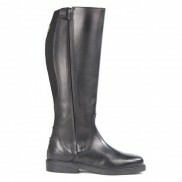 They are ideal in very slim shouldered horses and are popular with Arab owners. 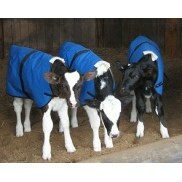 We also utilise the Ultimo cut for some of our yearling and weanling covers. The Umbrella topper can be added to any cover to give you the perfect winter hybrid. We utilise a marine grade synthetic with twice the waterproof rating of canvas to give extra protection over the back area, ensuring that your horse is always dry and avoiding the weight disadvantage of wet canvas. Our wide range of canvas colours and styles can be used with any cut of cover, as can the many features and improvements in componentry that have been introduced over the past three years. This is a straight canvas sheet without the ability to take linings. Comes in two different cuts;.. The Coolerlite is manufactured in white 8oz Showerproof Ripstop Polyester Canvas. A great cover f.. Racing Basic has been designed and manufactured in response to requests fo a cheaper cover. Get the ..
Ranfurly - Broader shouldered heavier hunter types with very generous shoulder gusset..